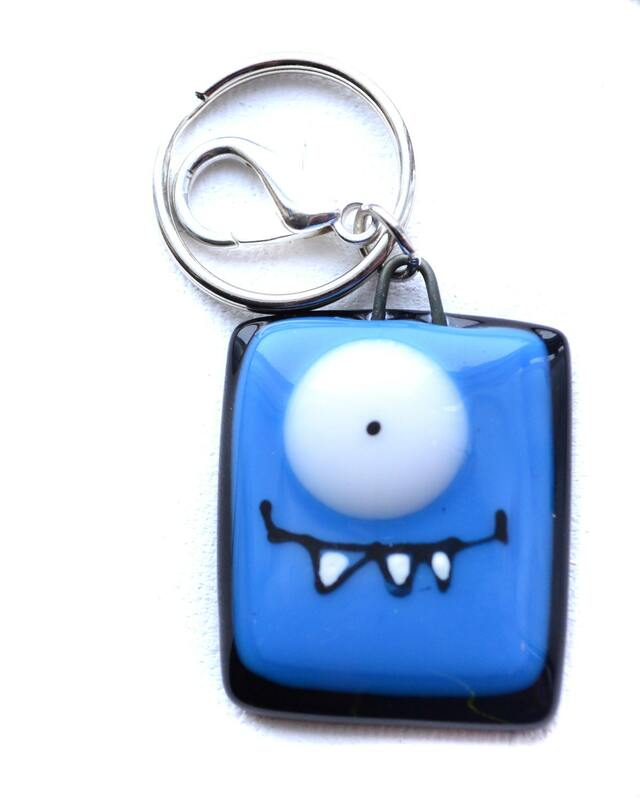 colorful keychain funny turquoise monster, handmade fused glass , accessories , back-pack charm, key holder , colorful monsterFunny keychain handmade. Ready to ship in 1-3 days after payment. More colors and styles available just contact me for a request ! Glass fusion technique was used to create this piece. Every Keychain is handpainted so it might not be exactly like the picture. Size: 3/16'' x1" x 1 1/4" aprox. Each keychain is shipped in a bubble protective envelope. Une adorable petite porte-clé fait par une géniale vendeur. 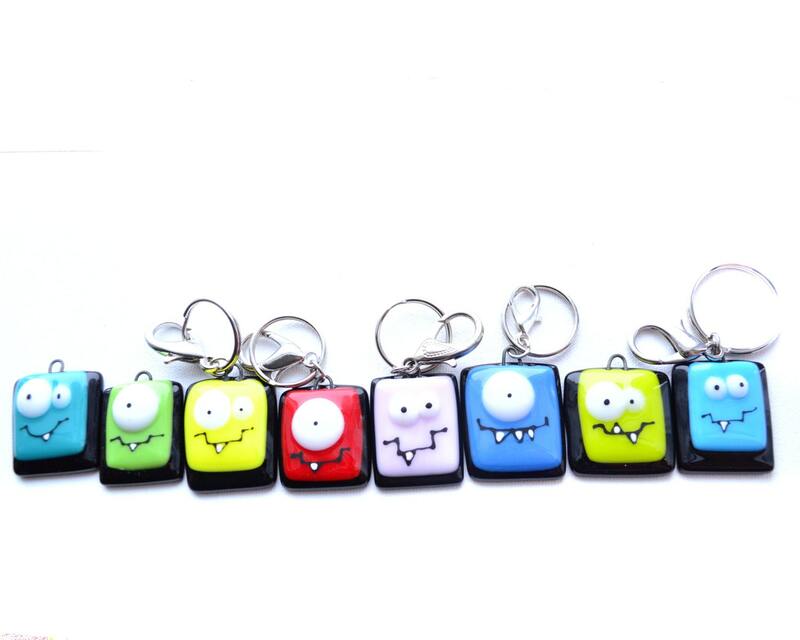 Well made, super cute and a very responsive and fast seller!